Co-founder and partner at M’GO FILMS, Michel has pursued a career as a producer/director of films and documentaries for television.His projects as producer include a first feature film selected at the Directors’ Fortnight, Cannes Film Festival (2009) and a feature documentary, Southeast Asian Cinema that was picked-up by the Sundance Channel (2015). 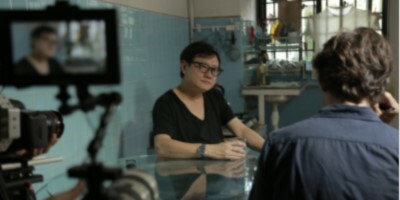 His most recent TV documentaries titles include,I Remember the Fall of Singapore (2017), Maverick Politicians (2018), Love in a Time of Change (2018). Concurrently,Michel continues to produce multimedia installations. His portfolio includes over 100 credits of prestigious national and international projects: Burj Khalifa (Dubai), the Canadian Museum of Human Rights and the National Museum of Singapore.